We grow Plukenetia volubilis, also known as sacha inchi, sacha peanut, mountain peanut or Inca peanut in our Discovery Garden outlets in Nong Khai and Pattaya. We offer Plukenetia volubilis seedlings and seeds for sale in Thailand and Laos. 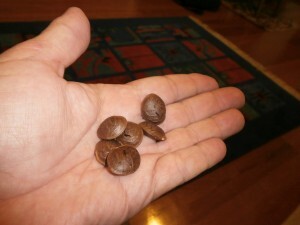 Inca peanuts are easy to grow from seeds, have a high yield and are very healthy.